Cross over into the afterlife with Cutloose for Halloween on Wednesday 31 October, then party on into the weekend with all the lavish latin festivities that make up our Day of the Dead festival from Thursday 1 November through till Sunday 4 November. Gather your ghouls at the Osbourne Hotel for a glamorous night of bespoke Martinis by Patron and tasty treats. Dress in character for the night and dance your heart out with DJ Cutloose from 7pm. We’re all treat and no trick, as you enjoy cocktails with the dead and undead alike this Halloween. Party on into the afterlife Thursday through to Sunday with our Day of the Dead festivities! The Osbourne is playing host to the Duo Serenata band from 6:30pm Thursday alongside a selection of delectable cocktails by Patron Tequila and Mexican inspired food throughout the festival. 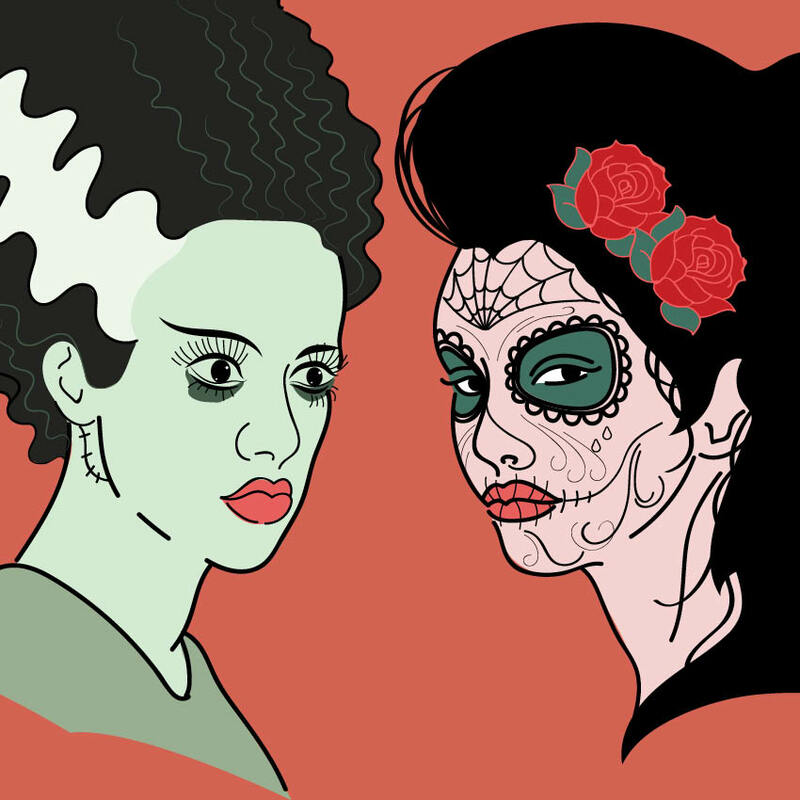 If Latina music and spooky decorations don’t get you in the scary spirit, then our staff sure will. Watch as the Osbourne team put their ghoulishly best face forward as they morph into sugar skulls and skeletons. Begin the festivities mid-week with Halloween and party on into the weekend with our Day of the Dead festival. We hope to see you at the Osbourne to celebrate the spookiest week of the year!